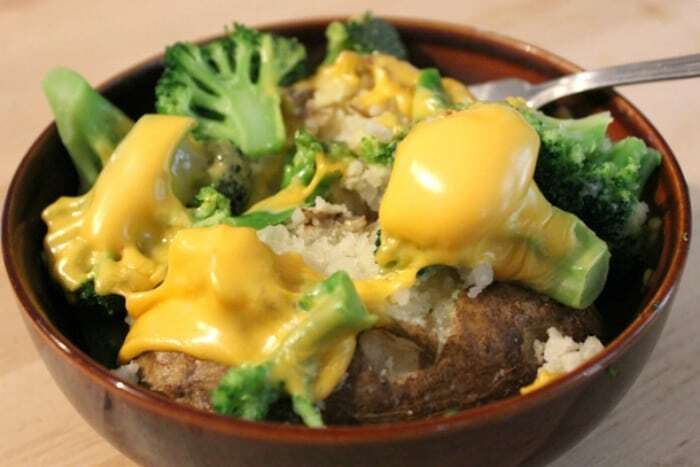 How to make a baked potato! This tutorial is an easy and simple way to get a great side dish for tonight’s dinner! 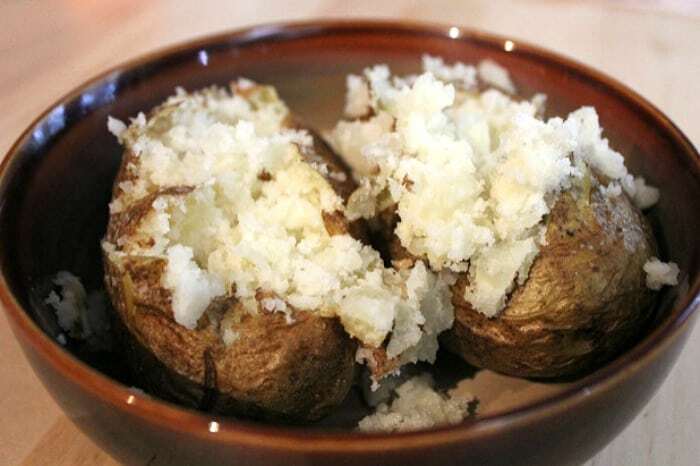 I didn’t know how to make a proper baked potato when my husband and I were first married. I would just stab a couple holes into a potato and throw it in the microwave for a bit. Which worked okay, except that it doesn’t give you the yummy crispy salty skin that comes with a potato baked in the oven. And sometimes you need some salty crispy potato skin in your life. 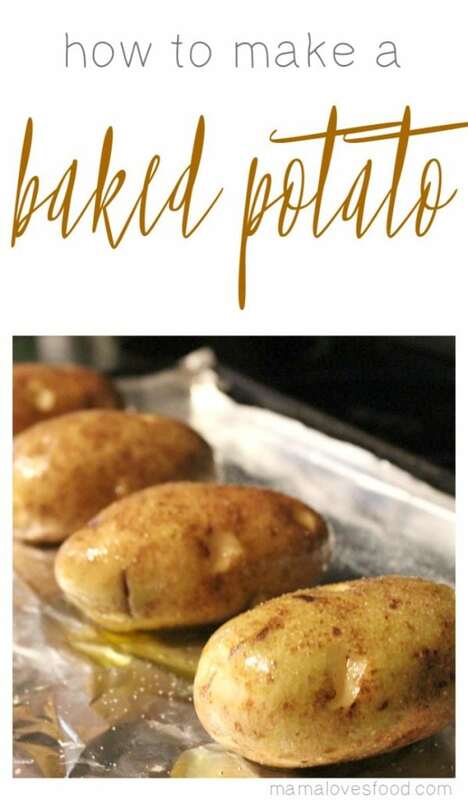 So, if you’re visiting because you’ve never ventured into the culinary art that is baking potatoes, rest easy! 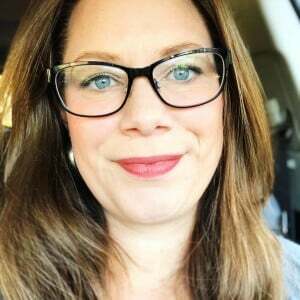 It’s very simple and if I can do it, so can you! I like to eat mine absolutely swimming in good butter. 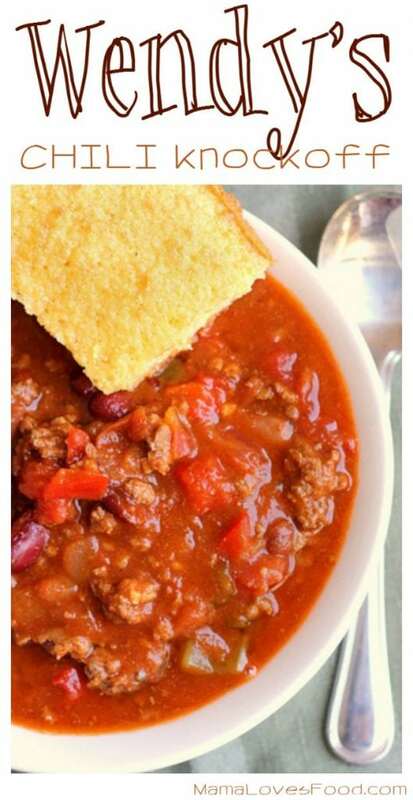 Or sometimes topped with chili. And also cheese sauce is good. Oh, oh! 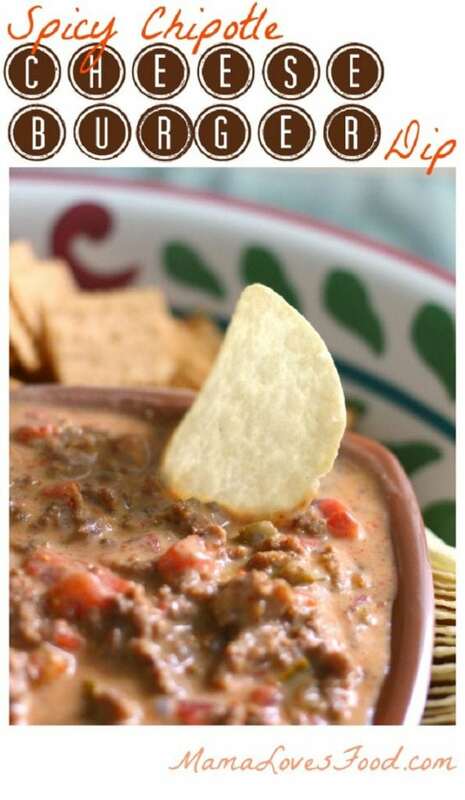 And beefy stroganoff dip. Oh, hell. I just really like potatoes. Wash potatoes in cold water and remove any sprouts. Pierce each potato with a fork about 8 times. Pat dry and rub lightly with olive oil. Place on a lined baking sheet and sprinkle all sides with salt. 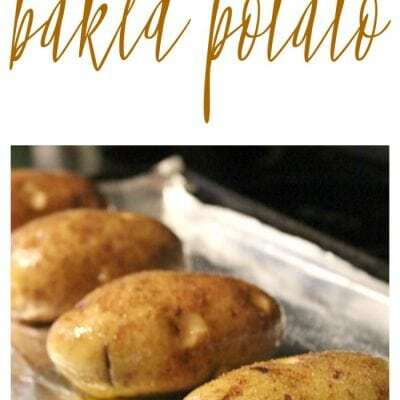 Bake at 350 degrees for 60 - 90 minutes (depending on how many potatoes you have). 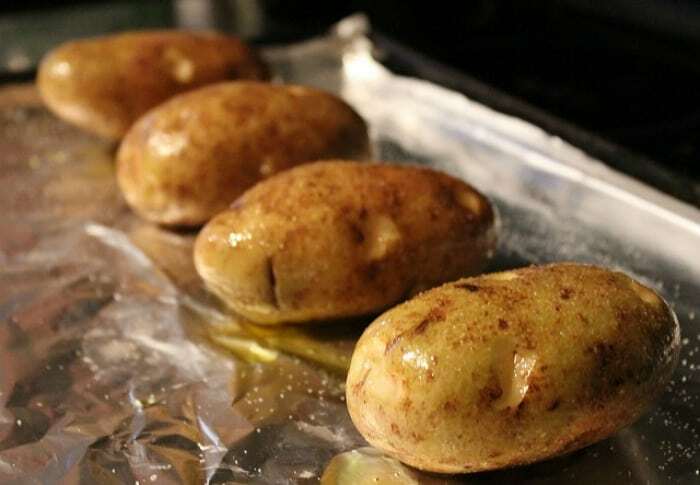 Bake at 350 degrees for 60 – 90 minutes (depending on how many potatoes you have).